I remember it like it was yesterday…It was like time was standing still. In this moment I saw it all. Laughter, love, happiness. You see, on this date, September 11, I married my best friend, my rock. I made the day stand still in one moment and I took it all it. The rest is a blur… captured only in photos… a day long planned and quickly passed. It was beautiful and I was happy, so very happy. It was like time was standing still. I sat holding my new born baby tightly. Horror, sorrow, grief. 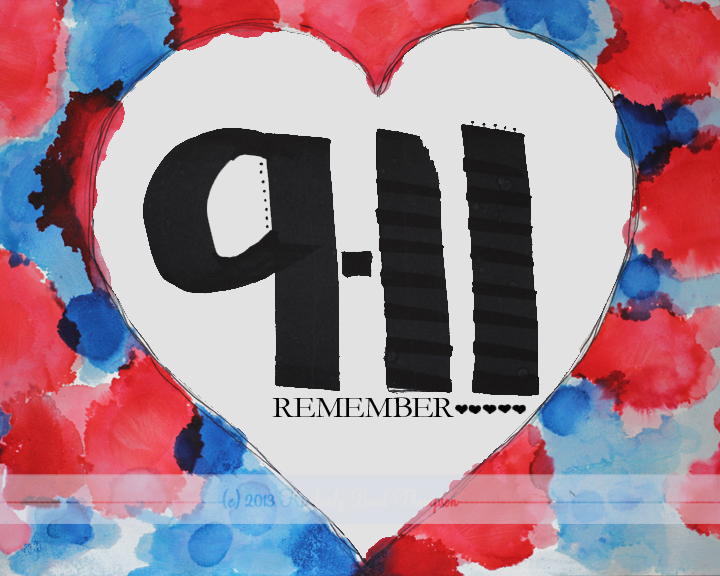 You see, on this date, September 11, I watched as the world changed forever. The day seemed to stand still in that moment. I couldn’t take it in. It seemed surreal… captured only on television… a day never planned and slowly passing. It was wrong and I was sad, so very sad. A day I saw friends and loved ones lost. A day full of happiness and a day full of sorrow. I honor both. Today is a day I celebrate life… Life lived, life loved, life celebrated. I feel the pain. I feel the happiness. I recognize both for their place in my heart. Today is a day and a date… and like every day… I remember the past and take steps toward a happier future. Such a lovely post . . .
That day sure had a profound affect on the world. I ,too, remember exactly where I was when the towers went down. Thank you. It is surely a day to remember. Beautiful reminder to celebrate life while we remember those we’ve lost. What a beautiful reminder: celebrate life while we remember those we’ve lost.